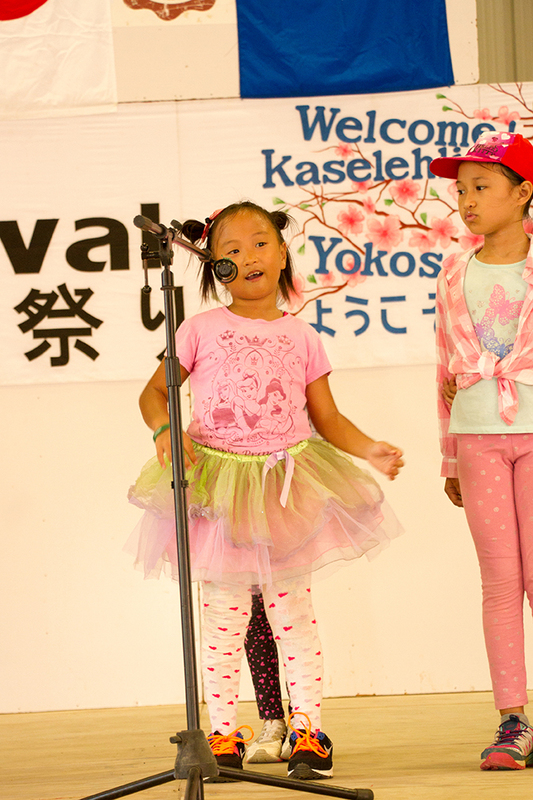 Pohnpei—The Japanese Embassy pulled out all of the stops in this year’s Japanese Festival that was held at the Our Lady of Mercy Catholic School gymnasium. The gym itself was previously provided by a grant from Japan and has seen constant use since it was built. This is the 30th year of diplomatic relations between Japan and the FSM. Before cultural booths were opened, participants from the FSM and Japan took the stage to perform musical and dance numbers for the gathered crowd of several hundred. 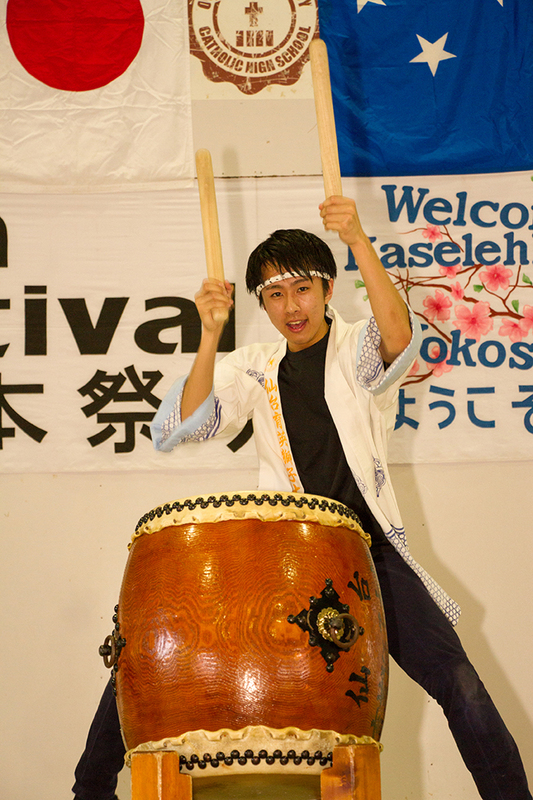 Students from the Pohnpei Catholic school demonstrated Taiso, a popular form of group exercise in Japan. 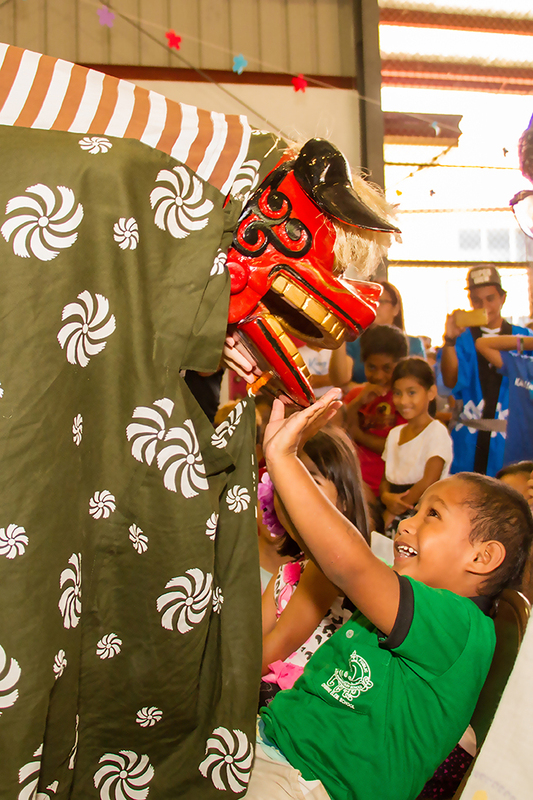 Students at PCS participate in Taiso at the beginning of three school days a week. 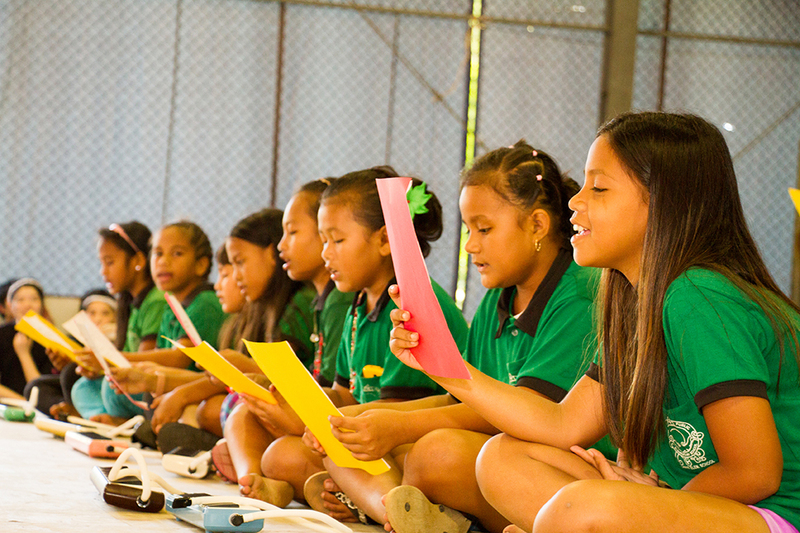 Students from Ohmine Elementary School who are a part of the music club performed two numbers, one a vocal number and the other an instrumental piece performed on recorders, mouth organ and other instruments. College of Micronesia FSM students who are members of the Micro-Japan Club performed an instrumental number accompanied by ukulele and cajon, a percussion instrument. 10th graders from Pohnpei Catholic School performed a special dance number based on a re-enactment of net fishing. Six young girls who called themselves “The Moana Girls” performed a highly entertaining and cute dance called the Chiwawa Dance. A group of musicians who called themselves “Green Wind” took the audience on a musical journey through Europe, Russia, and finally to Japan. It consisted of flutes, accordion, vocal, and a majestically played beautiful harp played by Dr. Wang-Harris. It was probably the first time for most of the audience to have ever seen an actual full sized harp and it was demonstrated beautifully. 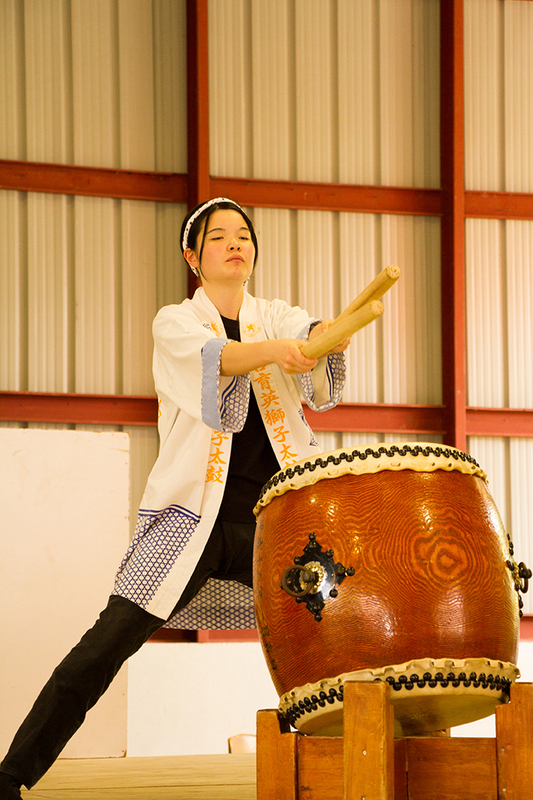 Of course, the highlight of the performances was the Japanese Drum (Taiko) performance by students of the Sendai Ikuen Gakuen High School in Sendai, Japan. Sendai is in the Miyagi prefecture to the northeast of Tokyo in northern central Japan. The highly athletic and intense performances by mostly 10th graders from that school were highly entertaining. On one of the numbers, two members of the team played the role of a lion who danced throughout the audience snapping it’s stylized jaws, twitching its ears and occasionally stopping to “scratch its face” with its feet. The story being told was of a young Japanese girl who was frightened of the lion but overcame her fear and played a “trick” on the lion, slapping it on its head as it slept. The performances closed with an audience participation dance called Tokyo Ondo taught by members of the Embassy staff, volunteers, and the wife of the Japanese Ambassador, Yuko Horie. After the performances were completed, audience members circulated among the booths that were setup. There was a calligraphy booth where participants could have something written for them in beautiful Japanese characters. There was a demonstration of Japanese paper folding called origami. 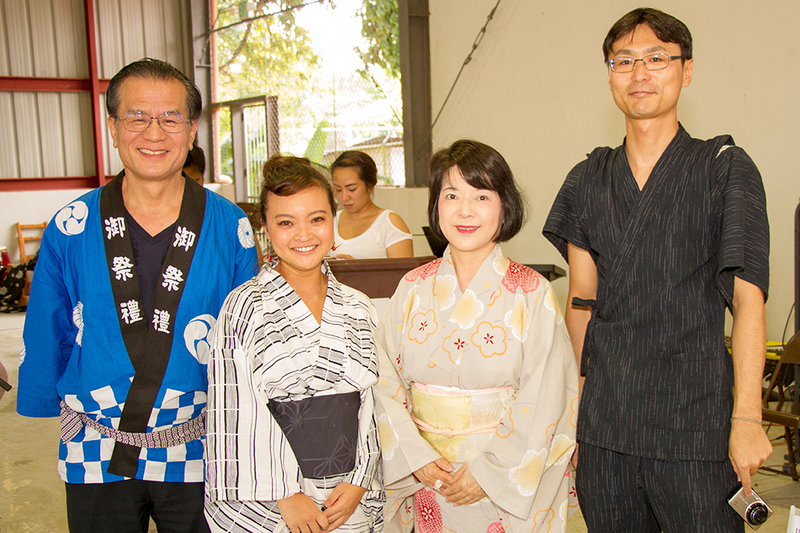 Participants could dress in formal Japanese attire for a photo shoot at the Yukata booth. PCS, COM, and Ohmine students demonstrated Japanese dance and song at their booth. The Taiyo Micronesia Corporation had samples of tuna jerky that were produced at the newly opened plant in Dekehtik.